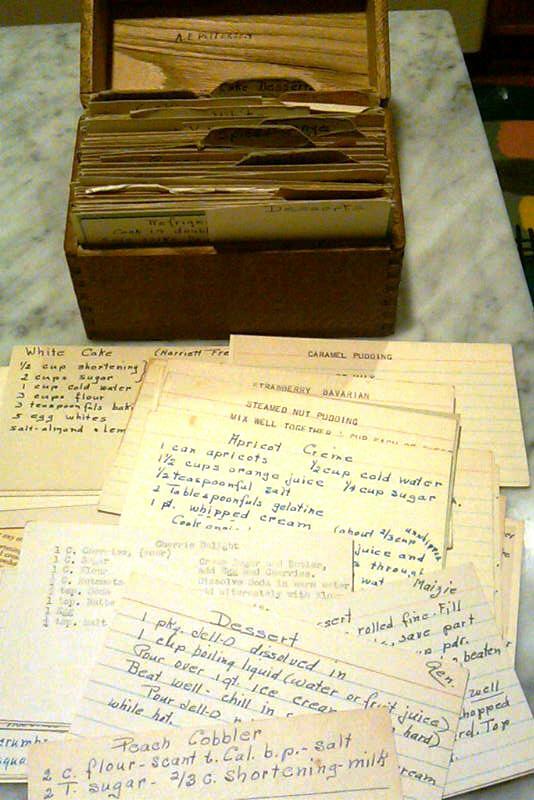 On Saturday, I got my dream recipe box (thanks, eBay), packed with over 200 hand-written recipe cards, all for desserts dating from the 1930s onward, from an estate in Portland, Oregon. 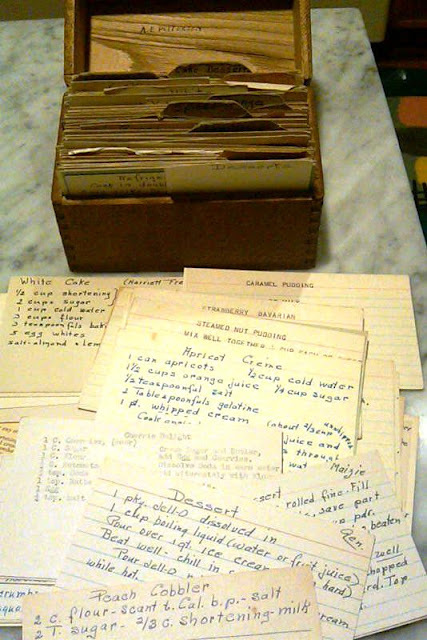 But after examining the cards, there were surprisingly few that I wanted to make, partly because most are simply a list of ingredients (no instructions) and some of the ingredients are unclear (like "caramel"). One exception was Egyptian Cake. Perhaps because of its exotic origin, this recipe (given to the homemaker by "Leeta") contained fairly precise instructions. So last night, listening to the news of the Egyptian uprising on NPR, I baked this cake. It's a basic chocolate cake, containing only egg whites (the yolks are used in the frosting -- a waste-not-want-not hallmark of the 1930s). It has a nice, soft crumb and delicate flavor. 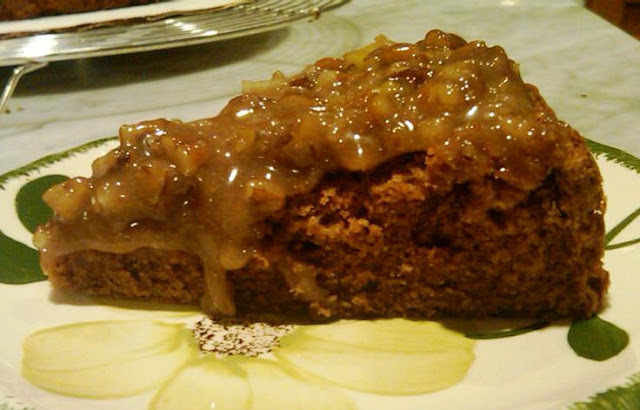 The frosting is very similar to that used on German chocolate cake, except one uses either nuts or coconut. What's Egyptian about this cake, I have yet to discover. Perhaps I need to have another slice. 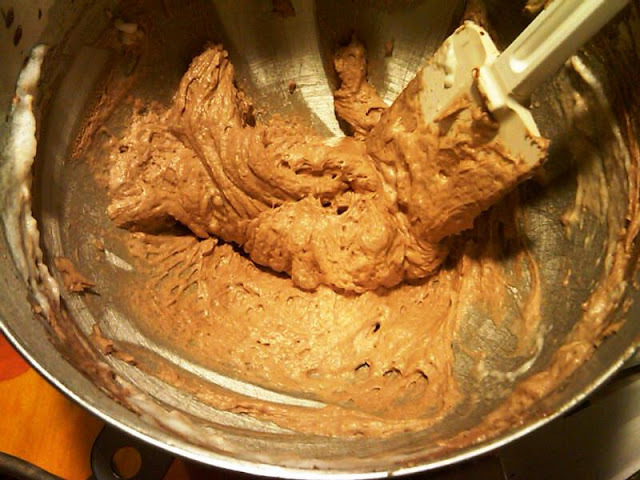 The batter, after incorporating the egg whites. The frosting needs to cook for a long time, and is quite sticky at first, kinda like certain Mideast politics. I've visited several cities in Egypt and I'm not really sure what's Egyptian about this cake either! But it sure looks and sounds like something I would try. i live in egypt, and have done so for almost 23 years. 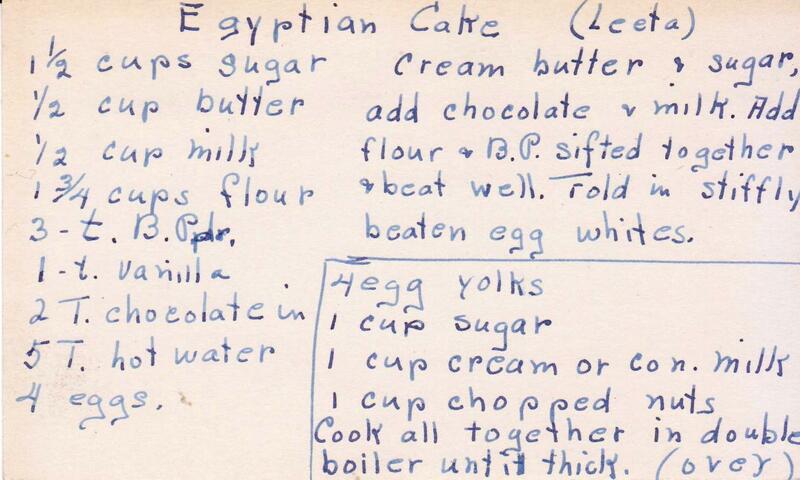 this is not an egyptian recipe, but it does look yummy! my daughter in the US sent me a link to this site, because i've been baking a sheet cake most days of the revolution and distributing it to my neighbors. 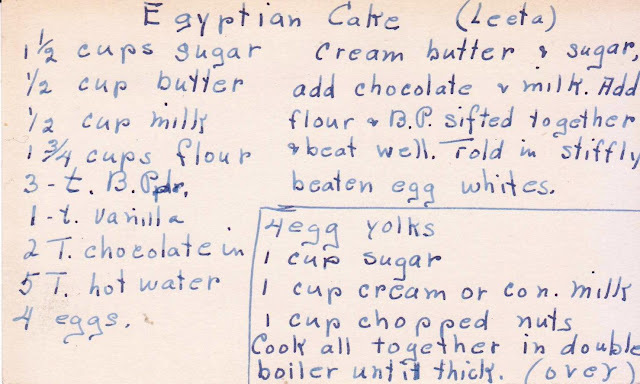 every day i make a different recipe and call it something related to the revolution: "revolution cake," "tahrir cake," "curfew cake," "perseverance cake," etc. but i won't be making this one, b/c it's too complicated -- i just look for very basic recipes, since it's something i want to keep up, in the middle of the rest of life. @Tugs Girl: You've confirmed what I suspected. It is good, but not Egyptian. Thanks for writing! @marty: Baking for the revolution -- a woman after my own heart! 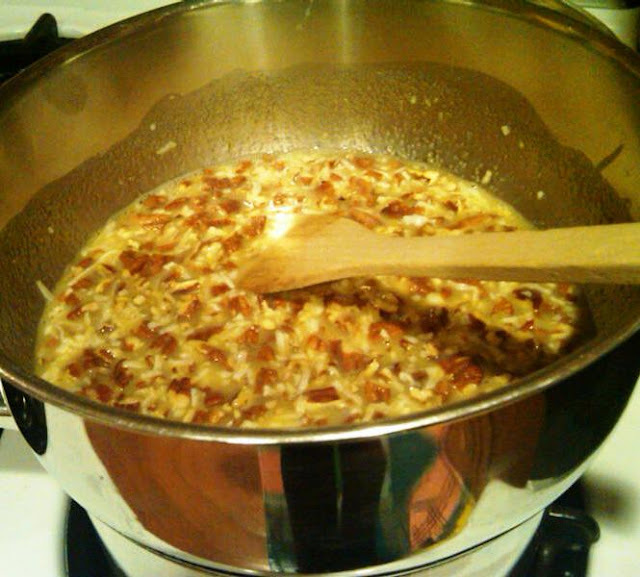 Next week, I'll post some simple-to-make recipes worthy of the uprising. This was a revolution in my mouth! Um, could the name perhaps have something to do with them not wanting to call it German? Because of the Nazis and the US being very involved in WW2? I don't suppose there were exact dates on each of the recipes, but this would make sense, I think. @Anonymous: Very interesting theory! Thanks for writing! 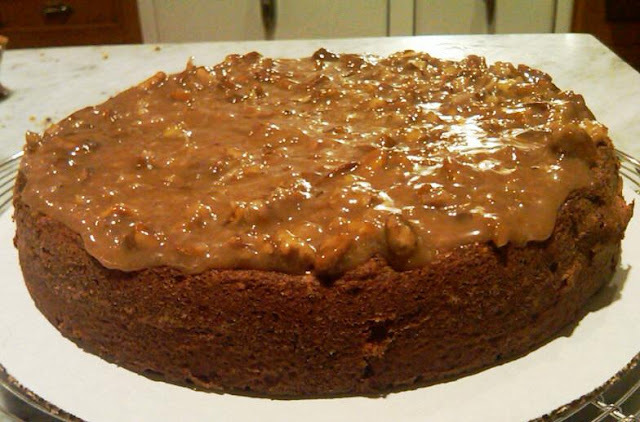 what is the name of this cake?